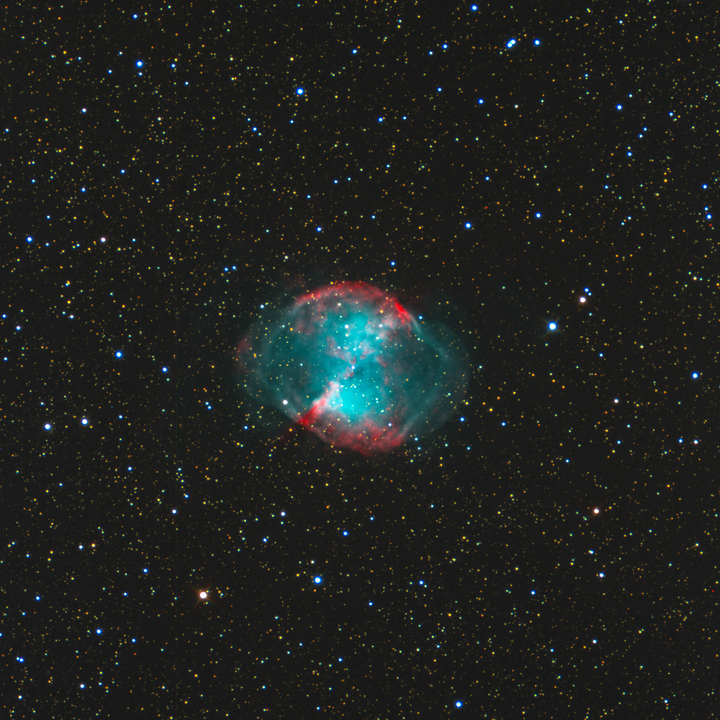 M27, or the Dumbbell Nebula, is a planetary nebula with an approximate distance of 1400 light years. A planetary nebula forms when a star reaches the end of its life cycle and releases the outer layers of gas. There is a white dwarf star in the middle of the large gas cloud.